A few weeks back, I introduced you to my friend Shawn. He’s a strong systems thinker, a former soldier, someone I respect and admired from my youth. Shawn cut his teeth in the dotCom era, becoming a programmer, then general technologist, then IT manager, now … I’m not sure. Last time I checked, he was an account rep for an IT managed services firm, the kind that has been eating a hole in traditional IT departments. Shawn cares about his field, and his perspective is shared by life in the trenches. So when he kept writing about what he sees happening to our field, and asked me to publish it, I couldn’t say no. Here’s the question that keeps Shawn up at night: Are IT Workers the Coal Miners of the 21st Century? From here on out the words belong to Shawn, not me. 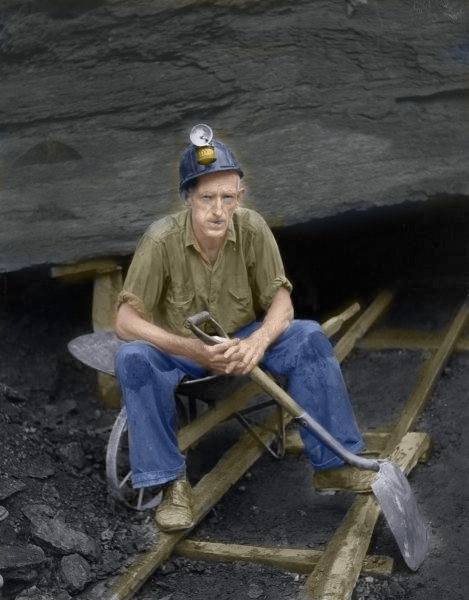 Starting in the 1870s and extending to the Great Depression in the 1930s, coal miners in the US suffered at the hands of their employers. Coal companies took absolute advantage of their workers to maximize profits: Working conditions varied somewhere between “poor” and “lethal.” Workers were paid by weight of coal they sent out of the mine, not for time spent doing things like shoring up the tunnels for safety. They were forced to live in company-supplied housing and paid in worthless company scrip, redeemable only at the company store. Is IT that bad? Really? Now, I’m not suggesting that IT workers today are at a high risk of cave-in, injury or death. At least, not like the colliers of old. Our cave-in risk comes from the stack of decommissioned 100 Gb disks piled up in the server room, carpel-tunnel is our most common on-the-job injury, and yeah, I suppose you could die from that ulcer you’re developing, but if you laid off the coffee a little, it might get better. Yet, employers today seem to have no qualm about taking advantage of their workers without due respect paid toward working conditions, hours committed to the employer, and payment for work accomplished. How do they do this? Its thru what was once a “wonderful” opportunity called being a “salaried” or “exempt” employee. White collar workers were there to direct the business. Their contribution to the bottom line was not easily translated into a per-hour pay basis, unlike the worker working on the production line whose productivity could be measured in pieces per hour, tons per day, whatever. In 2004, the federal labor laws were changed and more classifications of employees were able to become exempt employees (especially administrative employees). A lot employees were happy to be considered exempt. I know I was when I started one of my first professional jobs in IT. If I worked till 6pm, oh well. But if I had to leave at 4pm for a doctor’s appointment, I didn’t have to worry that I wasn’t going to pay the heat bill because my paycheck was short that week. In today’s business environment, however, more employers are using the “exempt” employee status as a way to get extra coverage and more work out of their IT departments without increasing headcount. Have a company that runs two shifts in the warehouse? Naw, we don’t need two shifts of IT people. The PC tech who was in the office at 7am to meet the telemarketers can also be the guy who makes sure the executive’s printer gets unjammed at 6pm, that the hiccup in the telemarketer’s VoIP phone system gets squared away at 7:15pm, and he’s also the guy who gets the call at 9:55pm because the damn UPS system is printing FedEx labels *again*. Back in the “bad old days” before Y2K and the dot.com bust, I worked for a software company that had a mainframe. They employed “computer operators.” On a legitimate 2nd and 3rd shift schedule. Want to hear more about Shawn and those computer operators?